Cameras enable you to keep an eye on your home when you are away, at work or on the other side of the world. To protect your home and your intimacy, Somfy Protect cameras have a shutter that you can open when you leave home and that you can close when you are back home, so that you are sure that nobody is watching. Whether for indoor or outdoor, connect your cameras to an alarm system to a better security. Somfy Protect solutions are designed to fit each home and each family for a simple and efficient connected security experience. 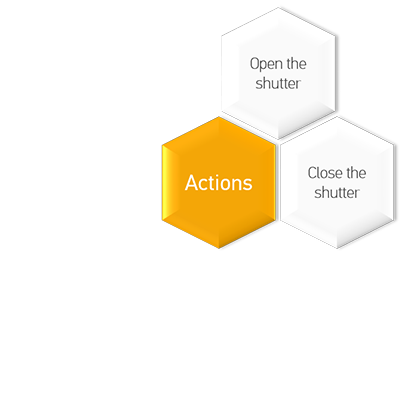 Our Open APIs give access to cameras control on all key end-user actions : open and close the camera shutter.